So how big a war was the Revolution — Louisiana, Florida and the Caribbean in Kathleen DuVal’s presentation; tightly confined in Nathaniel Philbrick’s battle in Boston for Breed’s Hill; changed George Washington’s tactics in how to fight a battle after his soldiers couldn’t take Cliveden, “a castle in the rear,” at Germantown outside Philadelphia; and oh yeah, James Kirby Marin described the Howling Wilderness that Benedict Arnold and his men covered to besiege Quebec. Takeaways from the 5th Annual Conference on the American Revolution held in Williamsburg, Va. Unlike the later Washington, who fought a defensive war, in this campaign, he “puts his army in harm’s way.” He did this for political considerations — Philadelphia was the capital and at a time without understanding the limited capacity of his troops and himself. Washington also did not grasp “how dismal was the intelligence apparatus” he led in 1777 when compared to what he had at Yorktown in 1781. Complicating matters was his overreactions to reports and frittering and indecision of what course to follow. Throughout the war and based upon his experiences in the French and Indian War, Washington “never expected much from militia.” yet here, he planned a surprise attack on the British that would employ militia. The 18th century “was an era of personal command” that William Howe and Washington — brave men under fire — followed at Germantown. Henry Knox argued successfully against “leaving a castle in our rear,” referring to Cliveden. No one questioned Washington about the surprise attack and no one questioned trying to take Cliveden. The militia of new England were different from other colonies. They had a tradition of war-fighting from King Phillip’s War 100 years before the Revolution. Boston itself was a confined space, about 1.1 square miles, only connected by a neck of land to Roxbury. Through Samuel Adams and the Committee of Correspondence, Boston transformed itself from town meetings to discuss the issues of the day into a forum not covered by British dictate — 18th century chat rooms that remained an independent form of communications with a network of communications starting in 1772 to the “country towns” as well as the city. The British believed that if they snuffed out radicalism in Boston, “tranquility will return.” To do that, they sent 8,000 soldiers to occupy the town of 15,000. 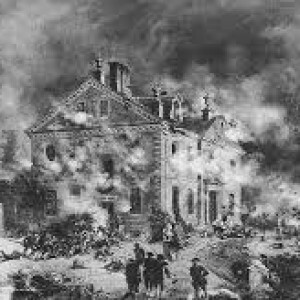 The townspeople’s reaction: “Soldiers are worse than Indians.” All the Patriot leaders but Dr. Joseph Warren, then 33 and a widower, had left Boston by 1775. By then, British control had been pretty much reduced to Boston and without the Royal Navy the soldiers there would have starved. 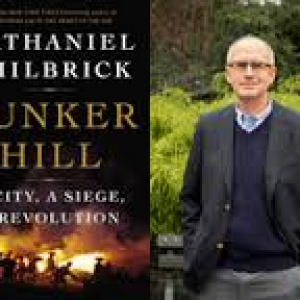 The site of the battle — Bunker Hill — 110 feet high and would delay British movement; Breed’s Hill — 75 feet high and designed to provoke, especially by building fortifications — starting with earthenworks — visible from Boston and British warships a few hundred yards away. The fighting and defense could be a “metaphor for America — not very well organized … but with creativity,” such as hastily building a stone wall on the beach to block a flanking movement. The British had “fight-conquer-or die” as their driving force as they first attacked the Patriots’ fortifications in lines. The artillery support in their first two assaults had the wrong sized shells.. When they switched size of the shot and changed to columns, the British succeeded in large part because the Americans ran out of ammunition. The fight became hand-to-hand combat. The British in victory suffered close to 50 percent casualties. It was too costly a victory. At any one time during the American Revolution, one-third to one-half of the British army was comprised of these troops. The principalities used the money to build infrastructure — roads, bridges, et al., and to bolster their economies, not line princely pockets as most often assumed. At Trenton, all the soldiers on the British side were German; at Saratoga and Yorktown, about half were German. The French also had subsidy troops at Yorktown. Many of these troops were professional soldiers who made “violence their profession.” The army was often their “second, third or fourth choice” before they enlisted — even for the bonus. They were often living on the margins of society before signing up. Many saw the army as a stopgap measure to overcome adversity and planned to return to civilian life. Using muster lists, cantons “tried to weed out the ones they did not want” by putting those men in subsidy troop details. Some of these were not subjects of that principality, which made the selection easier. As a group, they were also men whose enlistment would not hurt the local economy by their absence. Ten to 25 percent of the subsidy troops were married or had partners, often with children. For the incoming soldiers, the army offered more pay than they were making in civilian life and their army pay also could raised through plunder. Over the course of the Revolution, 30,000 to 32,000 German subsidy troops fought for the British in North America; 25,000 came from Hesse. After Saratoga, the defeated British army was allowed to go back to Europe on parole with arms and formations in tact. The Continental Congress was not happy with this arrangement. At Yorktown, the idea was to show the British and the Germans that they were a defeated army and their status was now prisoner of war, not soldier. All knew “laying down your weapon in front of an enemy was dangerous,” but they did it. As for those captured at Trenton, they first went to Lancaster Barracks, the original American POW camp but were there for only a few weeks with nothing to do. Lancaster, although heavily German, backed the Revolution, but the POWs, as bored as they became, for the most part did not change sides. Later when they were moved, the POWs went to work on farms, as woodcutters, etc. German desertion rates ran between 18 to 20 percent in Europe but were less in North America. West Florida was one of the British colonies that wasn’t in rebellion. When the Revolution began, Britain had 26 colonies in and around North America. Both East and West Florida were heavily subsidized by the British and became havens for southern Loyalists during the war. There were ties between the Spanish and the colonists in rebellion throughout the war– including currency. The Americans adopted the peso. The Spanish continually questioned the loyalties of the French Louisiana colonists to their ambitions. During the Revolution, the Americans believed that when peace returned they would share the continent with the Spanish and possibly others. A lesson, we should have learned in Afghanistan with the Taliban in Iraq with Shiia militia and Sunni al Qaeda in Iraq: Loyalists look no different than anyone else. 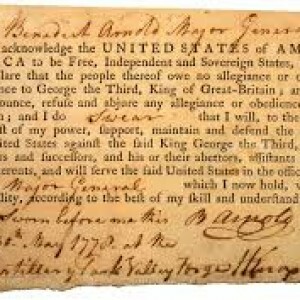 Benedict Arnold has a hellion image to American, even from his boyhood. His father died when he was 15. Yet if you look at his career, he was readily “willing to sacrifice oneself for the greater good” — a virtue. In writing the Continental Congress early in the war, Arnold and other Americans believed Canada was ripe for the taking, ready to become the 14th colony in rebellion with “an inexhaustible granary.” Yet the prevailing mood was not independence in the congress or the colonies, but reconciliation with Great Britain. To ensure their success, the leaders of the Canadian invasion opened the grave of George Whitfield, whose preaching inspired the Great Awakening, in Newburyport, Massachusetts. They cut pieces from his coat to carry with them on the expedition. From the very start, the expedition was flawed. They projected the distances as 180 miles from Augusta, Maine. It was 350. They estimated the march to take three weeks. It took seven. They were unprepared for the colder weather in clothing. The invaders carried 45 days of provisions. Some men starved. The leader of Arnold’s supply column polled his officers and they voted to return to base camp, leaving only 600 men to go forward, instead of the 1,200 that started out. They had to do more portaging and paddling against current than they expected. The invaders became increasingly sick, suffering dysentery and diarrhea. Sir Guy Carleton ordered the gates of the city locked and the British mocked the Americans who could not get into the city. On December 31, the American attack is easily repulsed. Four-hundred Americans, including Major General Richard Montgomery, are killed. Daniel Morgan is captured. The Americans had to attack that day because many of the men’s enlistments were expiring the next day. By June 1776, the Americans leave Canada. By Sept. 2, 1774, the New England colonies, particularly Massachusetts, were experiencing “troublesome times” and growing increasingly resentful of the British military presence. Their militia tradition expected all men between 18 and 60 to be available for military service. As they had from the time of King Phillip’s War in the 17th century through the French and Indian War, they rallied quickly to arms and marched to where they were needed. To control the radicals in Boston and closing the port, Governor (and General) Thomas Gage, who was married to an American woman from New Jersey, moved the capital to Salem’ but finding little respite there quickly shifted the government back. Bell said that by this time 95 percent of the rural population in Massachusetts were becoming radical. it was a tradition that continued past the Revolution and establishment of the republic under the Constitution into Shays’ Rebellion during Washington’s administration. The population believed the Massachusetts Act that abolished their local say in their affairs, including their control over the pay of colonial officials sent to govern, had to go. When Gage moved the government back to Boston, he found that he could exercise little real authority outside the city. As an indication of this, the rural population was coming into outlying towns and closing courts, rather than letting them convene. With popular feeling running high against British control, Gage canceled elections, moved more warships into Boston harbor, drew troops from New York and Quebec to his side and placed artillery on Boston Neck. To maintain local control, the radicals from provincial congresses of their own and purged loyalists from militia companies. 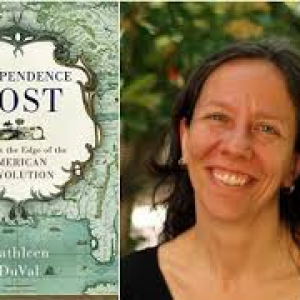 Molly Fitzgerald Perry: ‘The Lowest of the Mob,” Exploring the Actions of Sailors and Slaves During the Stamp Act Crisis. When writing history, it’s important to look at an event that has passed without anticipating how it ends — even though it is known. Parliament passed the Stamp Act to pay for frontier defense. it was a pass-along cost and a practice that existed throughout the British empire. Since most paper was imported (and the stamp would be affixed already) it was self-enforcing. The colonists didn’t see it that way. They forced local officials who were charged with collecting it to resign. They kept stamps from going into circulation and aggressively lobbied for its repeal. To show unity against the measure, starting on Aug. 14, 1765, colonists used music, fireworks, food, drink and street theater marching along with huge effigies to show their displeasure at court or market days. On “Pope’s Day” or “Guy Fawkes Day” — Nov. 5, 1764, the parades from Boston’s North and South ends had erupted into riot when the two groups of young rowdies proclaiming their solid Protestantism met. A year later, the marchers added effigies declaiming the Stamp Act and remained peaceful eventually heading on to the Tree of Liberty, a large elm at Essex and Washington (current name) streets to protest the Stamp Act in August. In Charleston, S.C., free and enslaved blacks also marched in anti-Stamp Act parades shouting “Liberty.” Colonial officials quickly blamed the disorder on “giddy” blacks and sailors. In Newport, R.I., contemporary newspaper accounts portrayed black as “dutifully” following their masters’ lead in the protests. On St. Kitts in the Caribbean, the protesters burned the stamps and then gathered for a feast in nearby Nevis, the protesters also burned house. For the protests in a number of port cities, whites donned sailors’ clothes and blacked their faces. When accounts used the word “sailor,” they also could be referring to dock workers, coastal and blue water mariners.